Please send me more information on Port Royal at, Hilton Head Island Thank you. There are approximately 970 homesites in Port Royal Plantation. Homesites range in size from 1/4 acre to well over an acre. Diversity in styles range from beach-side bungalows built in the early days of the Island, golf view family homes up to newly built palatial oceanfront estates. Port Royal Plantation residents are encouraged to join and enjoy the camaraderie of the club membership. The club offers several membership plans tailored to the resident’s needs, whether a full time resident or second home owner. Miles of paved leisure trails wind throughout the community, and a well-marked arboretum is centrally located for nature lovers. Port Royal Plantation features private beach access from the Beach House as well as 19 different beachwalk paths within the Plantation. Three miles of pristine shoreline on the Atlantic Ocean and Port Royal Sound is available exclusively to residents and their guests. 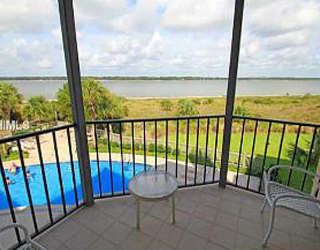 The Port Royal Beach House and adjacent Olympic sized swimming pool and kiddie’s pool overlook the Port Royal Sound. There is also a well-appointed playground on site. Three challenging golf courses are nestled within the community along with a centrally located gracious southern style clubhouse. Port Royal is a renowned golfer’s paradise offering 54 holes on three courses. These include The Barony, designed by George W. Cobb in the early 1960’s, and one of the first courses on the Island. Planter’s Row was designed by Willard C. Byrd and built in 1984. The third course, Robbers Row was designed in 1967 by both George W. Cobb and Willard C. Byrd, and was redesigned in 1994 by world famous architect Pete Dye. In addition to the golf courses, the golf club amenities include a driving range, putting green and croquet green. Four tennis courts, two of which are lit, are available for all residents and their guests. The Racquet Club has 10 HarTru clay courts and 4 Nova hard courts for member and public play, with stadium seating and lights for night matches. The clubhouse restaurant and bar are also open daily to the public for lunch, snacks, and bar service. The 14,000 square foot antebellum mansion-style Clubhouse hosts a wide variety of social events every month for both sports and social members. In addition to world class golf, tennis and croquet, Port Royal Plantation residents enjoy a number of community-wide social events and several specific interest clubs including bridge, art classes, and community gardening, as well as “Wine and Dine”. Port Royal Plantation is also rich with history and boasts two major Civil War sites, Fort Walker and Fort Sherman, and the site of the Spanish American War Steam Gun. All locations are well marked along with the history of the sites. Port Royal Plantation has long been a center of activity on Hilton Head Island, originally used by Native Americans for hunting and seafood gathering for hundreds of years. The bluffs of our plantation were first sighted in modern times by Spanish Captain Pedro de Quexos in 1521, and were subsequently claimed by English Captain William Hilton in 1663, from whom the Island takes its name. Port Royal Plantation has certainly grown and matured in the many years since its founding. The current property owners association, incorporated in 1973, is officially known as The Association of Land Owners of Port Royal Plantation, Inc. (Association). The plantation’s roads, common areas, historical sites and amenities are now owned and maintained by the Association. It takes just a brief tour to see that the current landowners clearly are dedicated to maintaining the special character of the plantation and avoid over-development and over-regulation. Under the framework of their long-term plan, the Association is committed to providing members with a secure, well-maintained and friendly environment in which to work, play and relax. How many active real estate properties are currently listed for sale in Port Royal , Hilton Head Island? Are there any foreclosures currently for sale in Port Royal , Hilton Head Island? No, currently there are no active listings in Port Royal with a foreclosure status. Are there any short sales currently for sale in Port Royal, Hilton Head Island? No, currently there are no active listings in Port Royal with a short sales status. What is the price range and average price for residential homes in Port Royal ? The price range of the 30 listed homes for sale in Port Royal is between 499K and 4,249K. The average price is 1,471K. Click here to view all residential home listings in Port Royal. What is the price range and average price for residential condos and villas in Port Royal ? The price range of the 3 listed condos and villas for sale in Port Royal is between 279K and 569K. The average price is 383K. Click here to view all residential condos and villas listings in Port Royal. What is the price range and average price for residential land and lots in Port Royal ? The price range of the 9 listed land and lots for sale in Port Royal is between 150K and 1,750K. The average price is 493K. Click here to view all residential land and lots listings in Port Royal. What amenities a buyer should expect to find in Port Royal ? 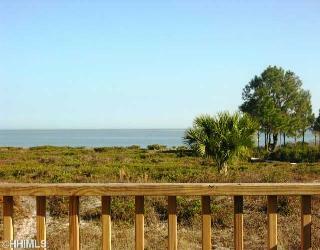 What kind of views a buyer should expect to find in Port Royal ? 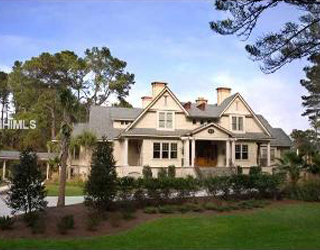 Port Royal Plantation is the only private oceanside, planned residential community on Hilton Head Island designed solely for residents and their guest’s enjoyment. Port Royal residents have access to some of the island’s quietest beaches without the intrusion of commercial development, hotels, timeshares or weekly rentals inside the gates. Port Royal Plantation also affords numerous amenities including three championship golf courses, and a top-flight tennis club, as well as trails for walking and biking. Situated on what is commonly referred to as “mid-Island” on some of Hilton Head’s highest ground, the 1,024-acre area is rich in natural beauty with canopies of moss-laden oak trees, palms and lush tropical plantings throughout. Port Royal Plantation affords residents nearly every Lowcountry vista imaginable including fresh water lagoons, saltwater estuaries, Port Royal Sound, wide beautiful beaches on the Atlantic and emerald green golf courses.